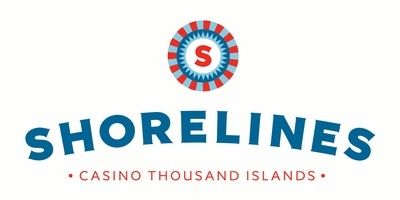 Member Showcase Mixer presented by "Shorelines Casino Thousand Islands"
Admission to attend is free. REGISTRATION REQUIRED FOR THE EVENT. Join the Greater Kingston Chamber of Commerce at Shorelines Casino Thousand Islands on Wednesday April 18th, 5-7pm, for our Member Showcase Mixer. If you missed this event last year, don't miss it this year!! Come out and mix n'mingle and make new business connections at this fabulous facility. 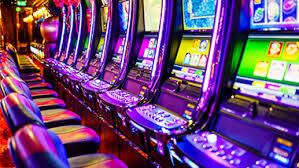 Shorelines Casino has an exciting evening planned for Chamber members and non-members! Always wanted to learn the tables but were afraid to ask? Come out on the 18th and learn how to play the tables and we will even have a mini-slot tournament. Complimentary bus transportation sponsored by McCoy Bus Service and Shoreline Casino Thousand Islands. Registration required for the bus. Relax and let someone else drive. Need a minimum of 30 for the bus to operate. Admission free. Complimentary appetizers. Cash bar.